Carr & Day & Martin Cornucrescine Tea Tree Hoof Oil provides a long lasting, high shine finish that's perfect for the show ring whilst simultaneously maintaining and protecting the hoof. Tea Tree oil has been used in this hoof oil as it has natural anti-bacterial and anti-fungal properties to help keep the hoof healthy. The Tea Tree oil also creates a rich, translucent hoof oil to provide the high shine and is suitable for all hoof colours. 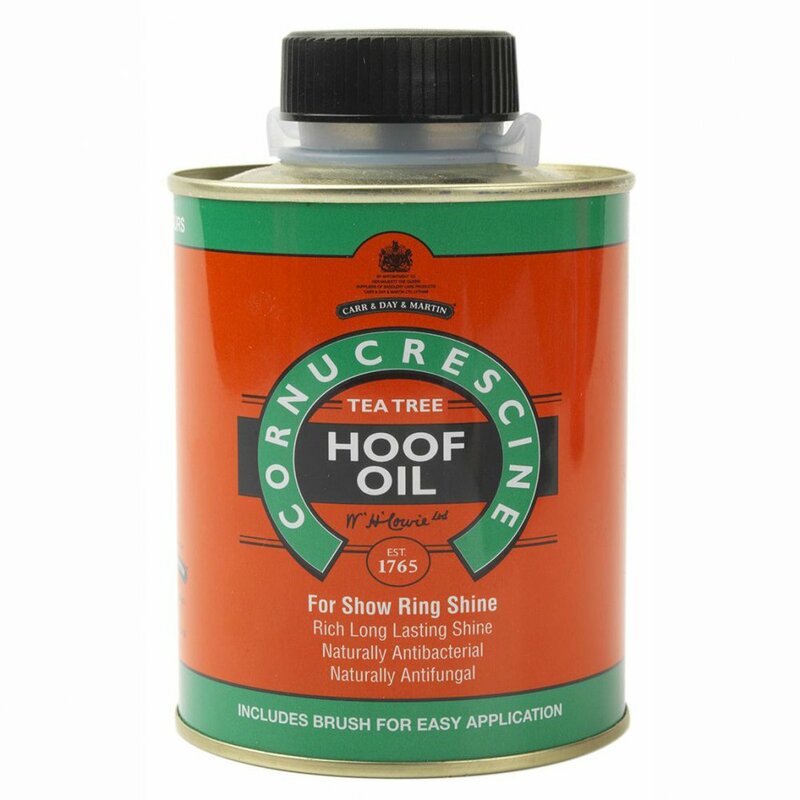 This Cornucrescine Hoof Oil is easy to apply using the brush contained within the pot. Simply brush on for immediate results to create a high shine.